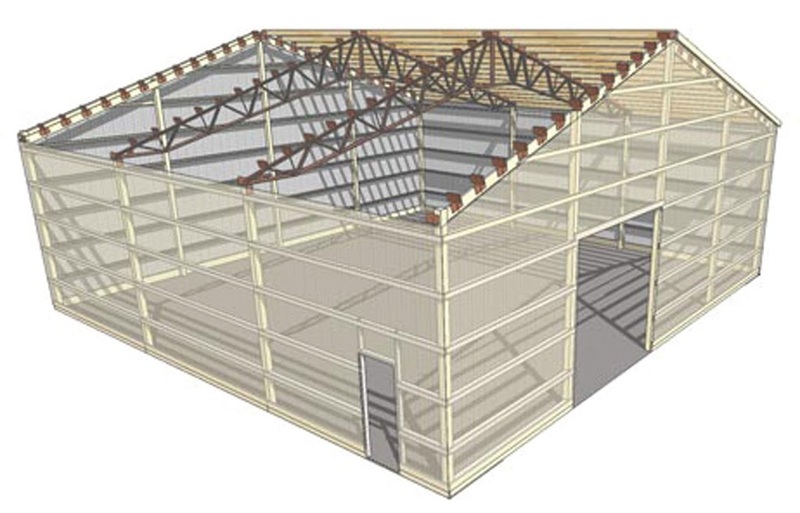 Post-frame construction is an engineered wood-frame building system that meets UBC and IBC standards. Post-frame buildings feature large, solid sawn posts or laminated columns instead of wood studs, steel framing, or concrete masonry. The posts transfer loads to the ground or are surface-mounted to a concrete pier or masonry foundation. Posts can be either treated wood buried in the ground or concrete columns for a more permanent foundation. 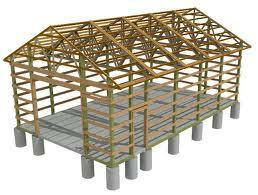 Post-frame structures are more quickly erected than other kinds of buildings. Because the larger posts and the interlocking frame can handle greater loads than stud-wall construction, fewer structural materials are needed, which saves time and other costs. Also, because posts are spaced farther apart than studs, post-frame buildings feature an exceptionally large wall cavity and provide ample room for insulation, lowering heating and cooling costs throughout the life of the building.